Best Audio Recording Software: Audio production is one of the most essential parts of the media world. It’s good when you have an opportunity to listen to any audio on a smartphone, computer, CD player, or even turntable if you are into sophisticated vintage staff or you are an audiophile who prefers to listen to music on all the possible audio devices. By the way, in the case with a turntable, you always need a proper cleaning of all the noises of your records. Check Has-Sound to choose the most suitable cleaner for you. However, if you have an important conversation on Skype with your colleagues or friends? In such a case, it is better not to rely on chance to remember everything, just record the audio and keep all important information. So, we highlighted some of the Best Audio Recording Software for Windows 10 for you to be able to record any kind of audio files. The name of the program speaks for itself – it includes all the necessary tools to create a complete composition. And thanks to the mobile version, they all can be fit in your smartphone. The main sound generation comes from the virtual synthesizer and the sample pad. Drum-machine, sequencer, and mixer act as additional means, each track can have many effects. The sound is recorded using a variety of special mixing tools. The finished composition can only be saved in WAV or OGG format. In addition, the program allows you to connect MIDI input devices. Though, the voice recording from a microphone is not possible. Therefore, the vocal parts will have to be added separately or create a small sample for the drum set. 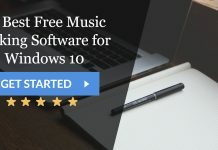 Streaming Audio Recorder is a best audio recording software for Windows 10 designed to record sound in high quality, both from a microphone and a computer. In addition to full compatibility with Windows 10, the application contains many useful features, such as built-in file converter, downloading music from video broadcast pages, editing audio files, access to hundreds of radio stations, etc. Among the additional features of the program, it should be mentioned clear user’s interface and multiple recording formats support. If you are looking for a flexible tool to record sound in Windows 10 in a wide range of formats, then this program will be useful for you. Among the supported formats, you will find AAC, AC3, AMR, FLAC, M4A, MP3, OGG, Wav, Wma. Developed by Gilisoft, Audio Recorder Pro will allow recording any sound from your computer. The program is able to record voice, sound from broadcasts, sound from external devices, and CDs. And most importantly, the program also allows you to record sound at a specified time using the task scheduling module. Audacity is a simple soft with advanced characteristics for recording and editing digital audio. It can record sound from a built-in microphone, mixer, and Line In the channel, which makes it possible to record sound and digitize analog recordings from cassettes or turntable. You can also record streaming sound (for example, Internet radio). In addition to sound recording, Audacity can be used to process (edit) all types of audio, including podcasts: normalization, cropping, and fading effects. The program also allows changing the speed and pitch of the recording. There are also many functions for physically editing multiple files (cut, paste, mix). Supported formats: Ogg Vorbis, MP3, WAV, and all formats supported by libsndfile. WavePad Audio is a simple sound editor that is perfect for users who work with programs of this kind for the first time. It will help record sound from the external devices, cut and compose individual audio tracks, add all sorts of sound effects, and so on. The program supports most common audio formats: WAV, MP3, VOX, GSM, WMA, RealAudio, FLAC, AU, OGG. This software also includes many functions for working with an audio file and MP3 editing mode without loss of quality. Audials One 2019 is a powerful software for recording streaming audio and video broadcast on the official television and music channels on the Internet. 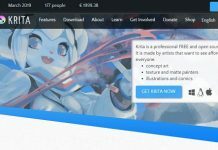 Thanks to this tool, you can record your favorite music from services such as Spotify, YouTube, Amazon Music, Deezer, Soundcloud, Apple Music, and movies from Netflix, Amazon. Except for the recording function, the program has a well-ordered library of media files stored on your computer and also has a converter for the audio and video formats you need for your media device.